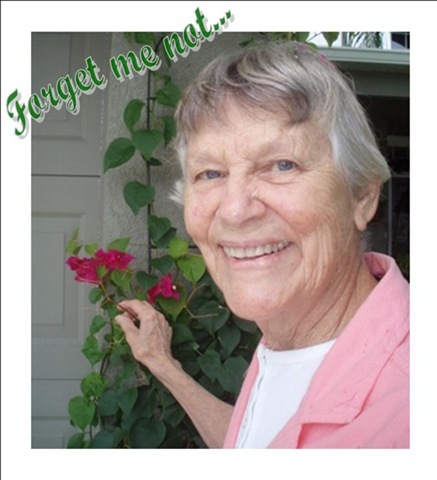 1.”Forget Me Not” is the motto our county’s Council on Aging. When I saw it on the side of the Council’s van, it deeply moved me, and I hope it will continue to serve as a tangible reminder to my children and me not to neglect or forget the elderly. We cannot all carry all the burdens of need for prayer that are in our world, but we can each carry the ones that the Lord gives us. This way the burden is light, as the Lord orchestrates the intercessory prayers of his people throughout the world. I spoke of what triggered my heats cry and compassion, you joined in while reading and yet, you have this remembrance of other needs that those of us who venture here can join in, your remembrance becoming ours. I think this is the harmonious way God wants to work within us. I appreciate you sharing this insight and the concerns to be brought to prayer. Thats a good description, Ilona, I think, of how we work together to carry each other’s burdens (each other, in both the reciprocal sense, but also in the sense of together carrying other people’s burdens). Thanks. I’m still trying to get this up on the feed thingy that goes in the side bar. Seems like Flickr is still having trouble with that. Good news is we now have a real phone line from TDM. 26000 Kbps. That’s pretty fast for this part of Africa. May the elderly individuals continue to receive blessings from God. Thank you for your post. It really touched me. I have elderly parents and keeping up with their needs is a very heavy responsibility. I sometimes complain. This post helped me realize that there are many elderly that don’t have what my parents have. It made me sad for them. I don’t think it will be so easy to complain any more and maybe a better attitude will help me to reach out to others. Thank you, Joy, for sharing your story. I’m really glad your parents have you to help care for them, though it certainly is a lot to carry at times, for you. I pray that you will receive the strength and help and encouragement you need each day for the things that you face on that day. I think there is certainly a place for lamenting the sorrows and burdens we carry, even while we do the things we must, willingly.